If you want to start a brewery, or want to take your existing brewery to the next level, MicroBrewr is the place for you. In the podcast, blog, and other content, we talk about everything craft beer related, with a focus for people looking at starting their own microbrewery or wanting to take their existing brewery to the next level. Inspiring you as you start your own microbrewery or take your existing brewery to the next level. MicroBrewr goes deep to get inside the craft beer industry and inside the heads of people who work there. On the weekly podcast, Nathan Pierce interviews craft brewers and craft brewery owners. You’ll hear their stories and ask the right questions, as you learn how to start a brewery of your own. Past guests on the podcast include Ninkasi Brewing, 21st Amendment Brewery, and Anchor Brewing. Other guests include experts from other sectors of the industry such as craft beer distributors, local craft beer stores, and marketers. Besides original content, the blog has articles from industry experts who share their tips to help you succeed in the craft beer industry. Learn what mistakes to avoid. Learn how to do it right the first time. Learn from others who have already done it and who are loving what they do. 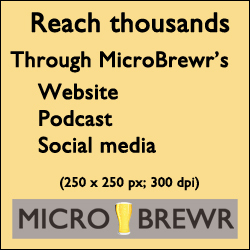 MicroBrewr will answer all of your questions about starting your own microbrewery. Nathan Pierce touring Sierra Nevada Brewing Co., Chico, California, July 9, 2013. 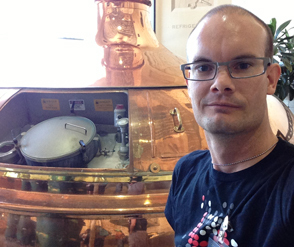 Read the Founder’s Page to learn more about the man who started MicroBrewr and how I carried it on for him. I had a great job with good pay. I was doing something I cared a lot about. I worked there for 7 years, but I had to move on. Over the course of about a year, we had a complete change of management. Many of my coworkers were suddenly dreading coming to work. Like I said, I really cared about the work I was doing. But still, it wasn’t my own. I’ve always had a yearning to make something. I want to help others, inspire others, and create something new in this world. Meanwhile, my doctor told me to take a month off due to stress. It wasn’t good for me and that, in turn, wasn’t good for the people around me. They say your job isn’t worth your health, so I put that theory into practice first-hand. It was a shock and it was also a relief. The craft beer industry is such a great place. The people are so open and helpful. Besides the “craft beer renaissance” that’s happening in the U.S. and spreading across the world, craft beer is a really creative space. I want to open a brewery. I know I’m not alone in this dream. My dream is to open a regional package brewery. Rather than serving customers only at the physical location, I would feel more pride just walking down the grocery store aisle and seeing my product on the shelf. How awesome! Only one problem: I’m not really qualified. I’m taking a step back, making it more of a longer-term goal. In the meantime, I’m learning what it takes. I’m talking with others in the industry. I’m asking them what to do, what works, what doesn’t work. What should I do, what should I avoid. This is what MicroBrewr is to me. It’s a learning process about how to start a brewery. I’m an open book, I don’t mind sharing what I learn with others. So if you want to start a brewery, but aren’t quite sure how to do it, then you are in the right place. What’s your dream brewery that you want to open? 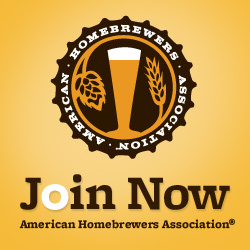 Already have a brewery—what’s your dream for your existing brewery?